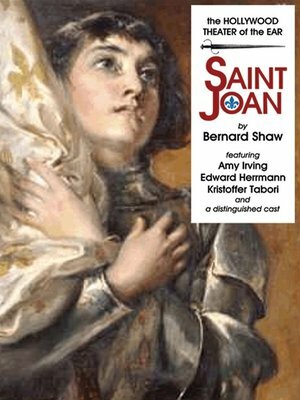 With Saint Joan, Shaw reached the height of his fame as a dramatist. Fascinated by the story of Joan of Arc but unhappy with "the whitewash which disfigures her beyond recognition," he presents a realistic Joan at war, not just with British invaders but with realpolitik. This is a masterpiece of the theater of ideas, presented in the most eloquent, vital, human, and moving terms. Blackstone commissioned this production from the award-winning Hollywood Theater of the Ear.